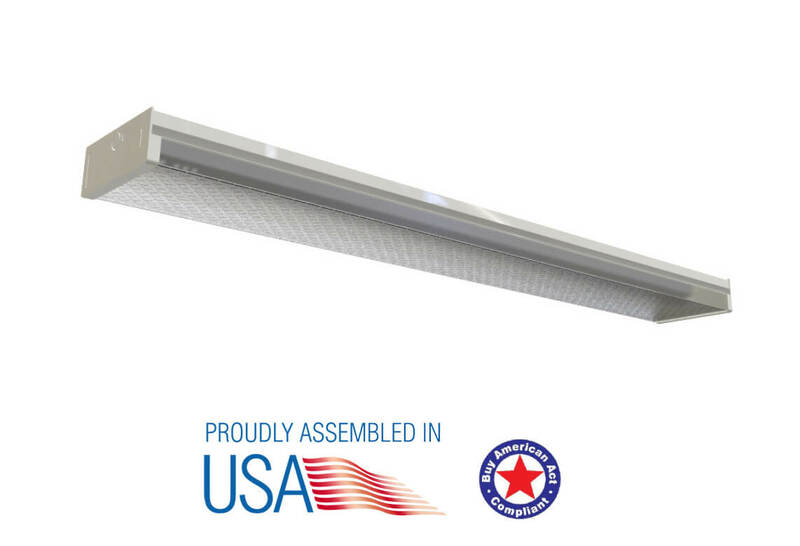 LED Wrap Light with is the perfect solution for commercial lighting needs in garages, warehouses, gyms, manufacturing space, and large retail spaces. With an enclosed power Supply and covered optics, these light fixtures are designed for durability in commercial or industrial applications. 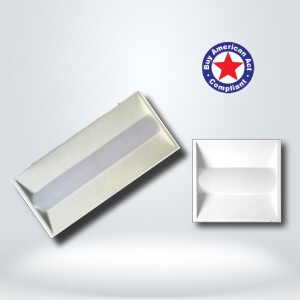 LED Wrap light is designed to save energy and lower maintenance costs. The LED light engine inside this fixture uses 30% less power to produce the same amount of light as a fluorescent fixture. 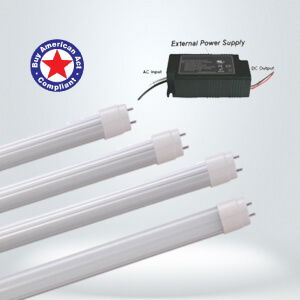 This is a low maintenance solution that eliminates the need to replace power supplies and light bulbs because the light source is integrated in the fixture. Because it’s LED, you will never hear the hum that fluorescent fixtures make. LED Linear High Bay commercial fixtures are built with LED chips that last for 50,000 hours of continuous use. Fixtures are UL listed and IC rated for contact with insulation and can be installed in damp locations, and they come with a 5-10 year warranty. These high bays are UL rated for damp locations. 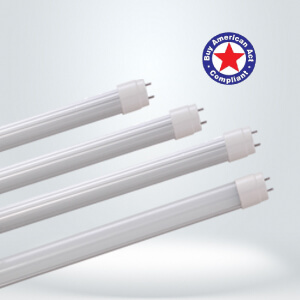 They are DLC listed to qualify for commercial lighting rebates and special incentives in certain areas.